TORONTO, ON – The Summer 2018 issue of Brewers Journal Canada – a quarterly publication “designed to give breweries, distributors, and suppliers an essential insight into the issues that matter to them” – is out now in both digital and paper formats. 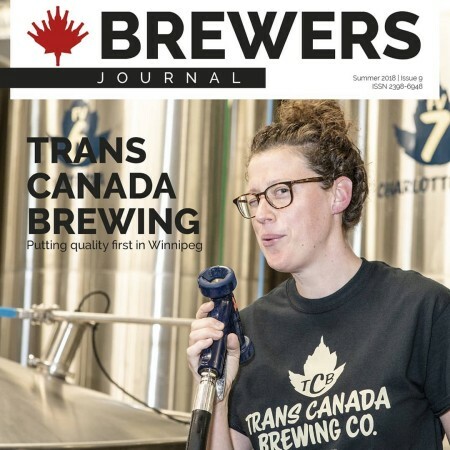 This latest issue includes a cover story on Trans Canada Brewing, features on Torque Brewing and the UK’s Cloudwater Brewery, articles on barrel aging and centrifuges, and much more. Brewers Journal Canada can be read as a free online edition via the Issu platform, and in a paper edition via subscription. For more details, see the Brewers Journal Canada website.